Deadline is reporting that Warner Bros and DC Entertainment are working to establish a live-action Teen Titans series along with the reintroduction of the animated Titans series Young Justice on a new digital streaming services in 2018. The service has yet to get a new, but its appears to be a big first step for WB and DC Entertainment to expand their online content. Currently, their roster of CW shows can be viewed on CW Seed or Netflix, but WB/DC appears to be trying to establish its own subscription service. 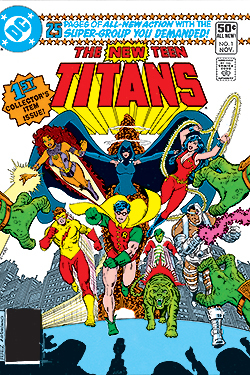 DC/CW maven Greg Berlanti, Oscar-winner Akiva Goldsman, DC Entertainment’s Geoff Johns, and Supergirl producer Sarah Schechter are all are all slated to work on the live-action series ‘Titans’, which will debut in 2018. Young Justice was the little-animated-show-that-could that sat in between the earlier animated Teen Titans cartoon with a serious tone, and the current sillier version of the Teen Titans Go!. Young Justice was a similarly serious take on the young DC heroes, but a team made up mostly of sidekicks. Young Justice was loved by its audience and revered by critics, but was not a hit that Cartoon Network could rely on on a consistent basis. The show ran for 2 seasons and got new life on Netflix with a feverish social media campaign clamouring for a 3rd season. Season 3 of the series is now entitled Young Justice: Outsiders and centers on the teenage superheroes of the DC Universe getting a chance to spar with DC villains after they were entrusted with a seat on the Justice League council at the end of season 2. Both series are in earlier development and set to hit the direct-to-consumer digital service in 2018.